WA-based gold miner, Empire Resources (ASX:ERL) has announced its appointment of Stephen Rodgers as underground project manager. In this role, Rodgers will oversee ERL’s upcoming feasibility study and necessary permitting required to extend the current Penny’s Find gold mine, which is situated 50 kilometres northeast of Kalgoorlie-Boulder. Rodgers has expansive experience in both open-pit and underground mining projects, having managed a range of such operations in Western Australia, South Australia and the Northern Territory. He is also highly familiar with the Penny’s Find operation, having worked as mine manager during the commissioning and early production phases of the mine. 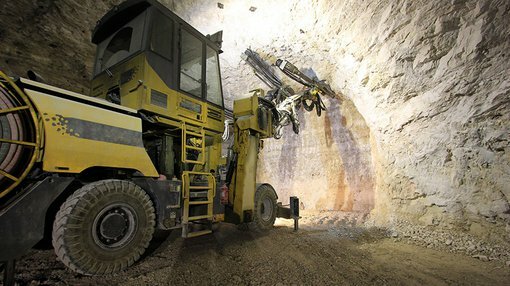 In his new role, Rodgers’ primary focus will be managing the completion of the underground mining feasibility study, lodging and securing the necessary mine approvals, documentation supporting project financing for the mine expansion, and preparing the onsite infrastructure requirements, enabling the transition from open-pit to underground gold mining. ERL holds a 60 percent direct interest in the Penny’s Find gold project; the remaining 40% interest is held by the unlisted Brimstone Resources Ltd. Following new high grade assays from a recent underground drilling program beneath the pit floor (as announced last week), ERL is currently preparing an updated Resource calculation. It will then began its final underground feasibility study, which is expected to be completed by early next year. ERL remains a speculative stock at this stage and investors should seek professional financial advice if considering this stock for their portfolio. Penny’s Find gold mineralisation, hosted by quartz veins at the contact between sediments and basalt, is open at depth, and has a current underground Indicated and Inferred Resource of 170,000 tonnes at 5.40 grams per tonne of gold. The mineralisation here extends to at least 250 metres below surface. Test work has shown fresh mineralisation to be free milling, with a high gravity recoverable gold component of 85 percent. Last month, ERL poured its first gold bar from the open-pit operations, with the mine’s ore being toll processed at two nearby regional gold mills.